DUBAI, 15th January, 2019 (WAM) -- The Director-General and Chairman of the Board of Executive Directors of the Roads and Transport Authority, RTA, Mattar Al Tayer, has met with India’s Consul-General in Dubai Vipul, and explored means of boosting cooperation and exchanging expertise between RTA and Indian entities operating in the field of railways, roads and transport. During the meeting, the two parties also discussed the upcoming roads and infrastructure projects in Dubai. 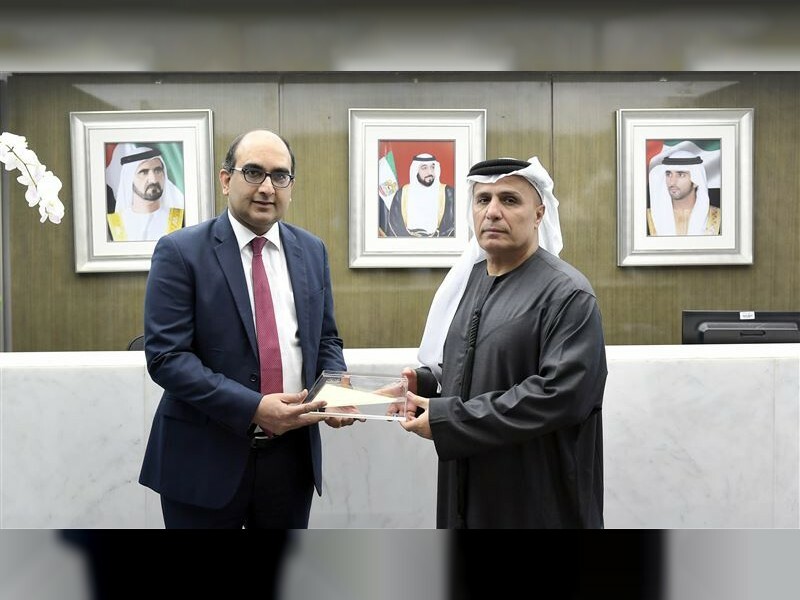 Al Tayer praised the outstanding relationships between the UAE and India in the business and tourism sectors; which have yielded an increase in trade exchange between the two countries and the flow of tourists. He also reviewed key roads and infrastructure projects currently undertaken by RTA along with the public transport network in Dubai. He also highlighted RTA’s efforts to improve traffic safety level by revamping the processes of training and licensing of drivers as well as the inspection of vehicles. India's Consul-General, in turn, praised the upswing seen by Dubai, rendering it a focal point for investors, business leaders, and tourists from all over the world. He expressed India’s hope to broaden the horizons of coordination and exchanging of horizons in various fields.